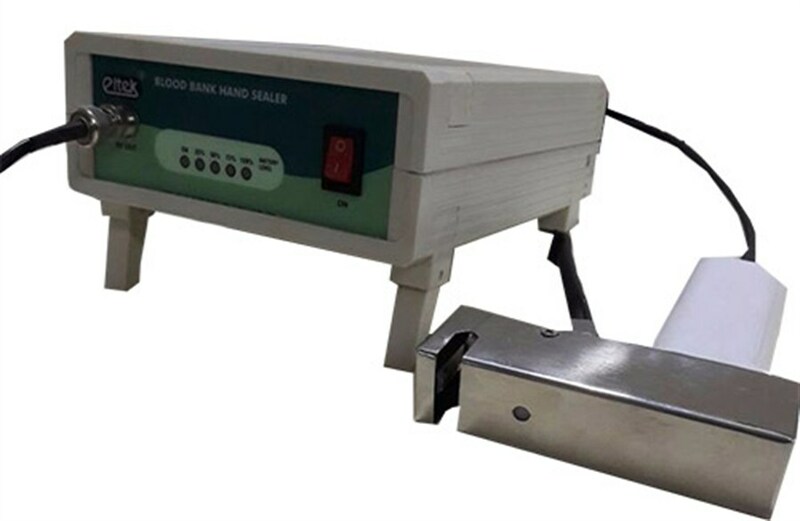 Eltek Blood Bag Tube Sealer is made for Blood bag sealing. It is battery operated sealing unit and easy to carry. This sealer has handle with 2/3 meters coax cable and power unit with batteries. It is Designed to minimize Hemolysis and contamination through blood bag seal. Hermetic Sealing which minimize haemolysis of blood. No warm up time required in between seal. Special Designed sealing gun ensure easy to use. Easy separation of the tube segments after sealing. 800 Quality seals from full charge. Easy to carry because of light weight.